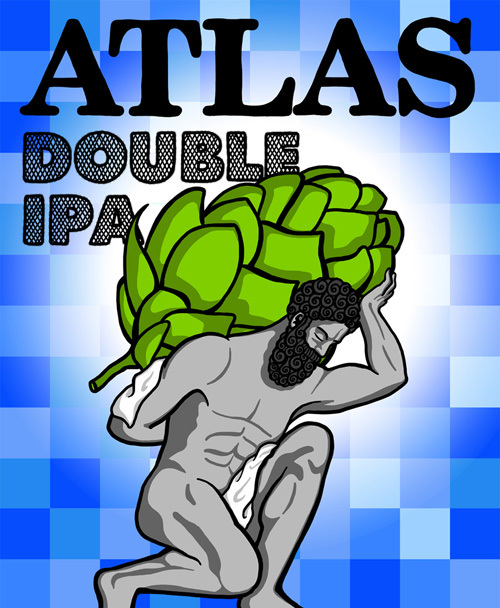 Atlas Double I.P.A. is exactly what people around the US and the world are looking for in a big hoppy bold West Coast D.I.P.A., but with the drinkability you do not find in a lot of beers this style. We have balanced the strong bitterness you would expect this beer to have with huge dank aromas and a malt back bone that makes this beer so easy to drink. "This beer is right up my alley" is what Stone Brewing Founder Greg Koch said upon drinking this tasty elixir of the gods, which could only be named after one.